There’s virtually a never-ending supply of scenic, outdoor recreational activities from your cottage doorway. There are four unique fun-filled seasons from Autumn to Summer. Each season portrays a scenic transformation, yielding a passion that compels you to discover more. 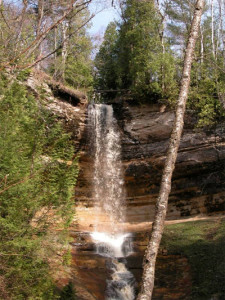 Munising is home to the Pictured Rocks National Lakeshore, Grand Island National Recreation Area and the Hiawatha National Forest. 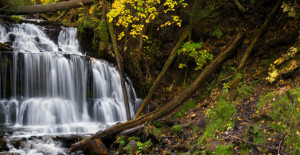 It is also home to numerous, easy to reach waterfalls and elaborate hiking and snowmobile trails to back country streams, rivers, inland lakes and the Lake Superior shoreline. For over 50 years Pictured Rocks Boat Cruises has provided thousands of visitors an unforgettable experience of seeing the Pictured Rocks National Lakeshore formations up close in comfort and safety. Voted #1 Boat Tour in the State of Michigan! 2-hour narrated cruise that will detail the mining and maritime history of Marquette, the colossal iron ore docks, the lighthouse and Marquette’s island park. Located a half mile offshore of Munising, Grand Island National Recreation Area is a true hidden gem in the Upper Peninsula. The impressive Lake Superior island features a variety of biking, hiking, camping and historical sites for a full day or several days of adventure. The easiest way to get to the island is riding aboard the Grand Island Ferry. The Grand Island Ferry Service makes several trips daily throughout the summer months and is large enough to handle your bikes and/or camping gear. Didn’t bring your bike? No problem! They also offer bike rentals for adults and youth, plus electric bikes for those looking to take it easy. Drive M-94 west of Munising through Forest Lake until you reach County Road 533. Drive north for a short distance and then turn right on Power Dam Road. Follow this winding road and you’ll see two different parking areas to view the upper and lower falls. The lower falls is viewable by walking beyond the gate, at the end of the road, and continue until you reach the crossing of the Au Train River. This 50-foot waterfall drops into a sandstone canyon and creates a spectacular scene. Walk .25 mile on a paved trail through the woods until you reach the viewing platform. There are two other viewing areas reachable by stairs but the main platform is fully accessible. Pets are only allowed on the paved trail. 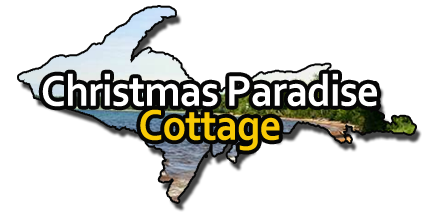 Located within the city of Munising, follow H-58 east until you reach Washington Street and turn left. 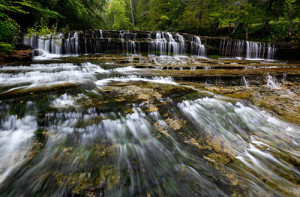 Follow until you reach the Munising Memorial Hospital and the falls parking area is across the street. Following a short walk on a gravel path to the viewing platform, Wagner Creek flows over numerous rock ledges to create a beautiful waterfall. Follow M-94 out of Munising and the fall’s parking area is only 1/4 mile from the M-28 & M-94 intersection.